I first met virtuoso mallet man, Christos Rafalides, at the Zinc Bar in NYC. I was so impressed with his playing that I invited him to perform a tune at the LP studio for this year's holiday cd. I was so grateful that he accepted. 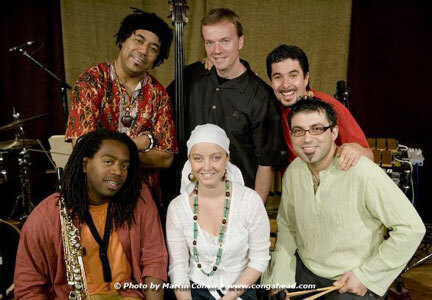 Joining Christos on vibes for this recording were Thomas Bramerie on bass, Ernesto Simpson on drums, Yosvany Terry on saxophone, Samuel Torres on congas, and Sofia Tosello on vocals.